Having a solid system to analyse your competitors can be one of the most powerful tools a business can have, to the point that it can mean the difference between success and failure in competitive business niches. This analysis can put your business ahead of your nearest rivals. Whenever you are modifying existing products or launching new ones, it is crucial to analyse both the market place for that specific product and its key players. Competitive Intelligence and analysis is both a process and a product. 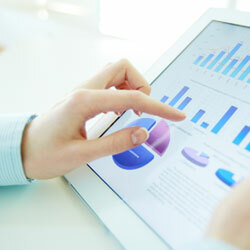 The process involves gathering information about your competition, their products and their clients. The analysis and processing of this data can help paint a detailed picture of both supplier and consumer behavioural patterns. Competitive product innovations can be enhanced based on competitive intelligence reporting and by anticipating the next move of a competitor, your business can dramatically improve the response time. The product of Competitive Intelligence is a result of the process and it is attributed to the action or actions taken by a company based on data analysis. These actions may be taken for a number of reasons. For example, by analysing how and where competitive products are sold, and defining how the production and marketing techniques used by successful companies in the niche are employed, a company can choose to follow the blue print of a successful competitor. 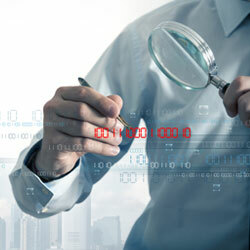 Data gathered from Competitive Intelligence analyses may also be used in order to sure up defenses against the competition. It can help to secure greater market by updating and improving existing products. Much of the information that will be gathered by a Competitive Intelligence company is available in the public domain. The Internet has made information gathering a far easier task than ever, but the problem with information that is publicly available is that it doesn’t serve the purposes of a company looking to steal the march on the competition. Because of this, the focus should be to gather inside industry knowledge by going to its source. It is this information that is most valuable to a company that is looking to gain a competitive edge. A good Investigator would seek to make contacts within the target industry; networking with competitors, their clients and suppliers. This is the best way to identify new trends in the market place as well as discover the mindset and practices of successful companies within a niche. Wis International has access to useful datasets that can be used to analyse the competition and have a bigger picture of the context of your operations. With a team of International experts in the field of Competitive Intelligence and analysis, we provide market insights for many well-known international clients and brands. Having an international reach means that we are able to investigate the global market which is why we are able to provide comprehensive competitive intelligence reporting services on time and to budget. Contact us now for a quotation. You will be surprised at how little it costs you today, to get one step ahead of your competitors.